Is A New Disney World Hotel To Redeem Points At On The Way? A family trip to Disney World can leave a lasting impression on your children. Unfortunately, it can leave a lasting impression on your wallet as well. Finding cheap hotels at Disney World can be a real struggle. And, there are only two options that are currently part of the FastPass system, meaning you get early access to the best rides. 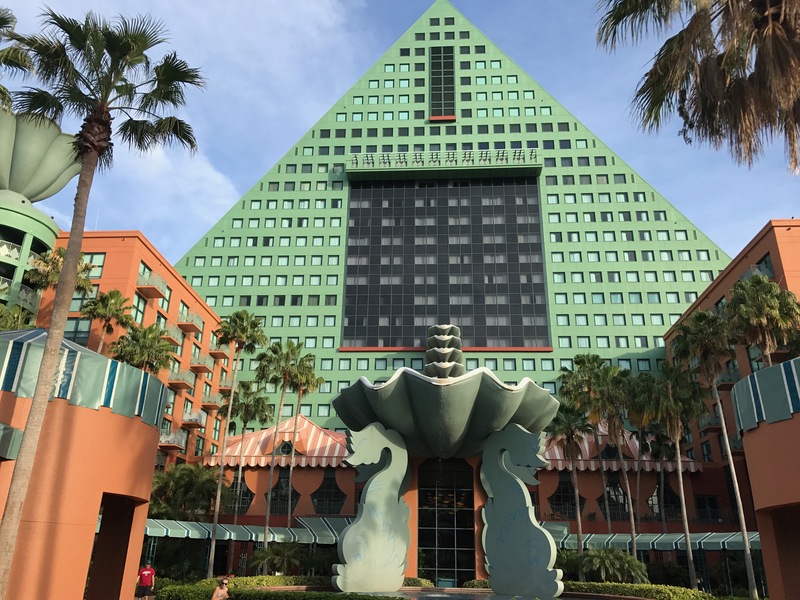 The Walt Disney World Dolphin and Swan are two properties that are part of the Starwood Preferred Guest program. That means you can redeem points for a free night and still get 60-day access to the FastPass system. You can also save a bundle, since $300-$500 a night hotel rooms on-site at Disney are par for the course. Both the Dolphin and Swan are very popular for conferences. That can lead to some tight availability when families want to go on vacation. School vacations at similar times across the country means a swarm at Disney World. When I initially saw this blog post from Blog Mickey a week or so ago, it stuck in the back of my head. I tagged it but got busy with other things and only circled back to it last night. Tantalizingly close to the Swan and Dolphin, could this new construction be a part of that complex? It didn’t take long to find confirmation that this new piece of construction is, in fact, part of the Swan/Dolphin complex. There’s no guarantee this will be a hotel where we can redeem points, or that it’ll be part of the SPG program. Heck, by the time it opens the SPG program may have been extinguished by Marriott. Grumble, grumble, grumble. But, it sure is encouraging to see the possibility! Is American Airlines Getting Ready To "Value Engineer" For The Future?